Urban Bus is an express bus operator in Malaysia under the management of Perkhidmatan Hafeena Sdn. Bhd. The headquarter office of Urban Bus is located at Semenyih, Selangor. 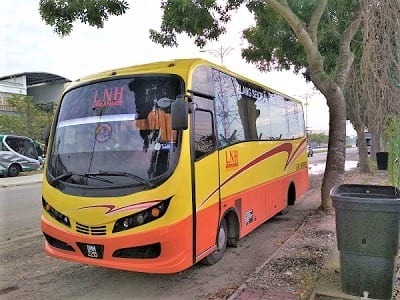 Urban Bus is well-known in specializing trips between Kuala Lumpur and Klang. The pick-up point and drop-off point in Kuala Lumpur is located at Terminal Bersepadu Selatan (TBS) while the pick-up point and drop-off point in Klang is located at Klang Sentral. Buses deployed by Urban Bus are fully equipped with air-conditioning system. The reclining seats and spacious legroom also ensure a comfortable journey for their passengers. 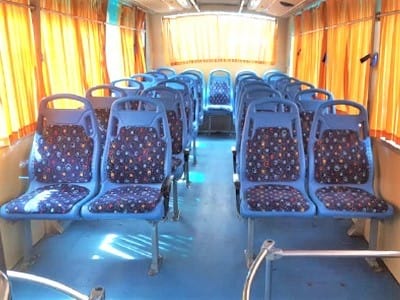 For your conveniences, you can now book Urban Bus bus ticket online at BusOnlineTicket.com at anywhere, anytime and any place!